The Legend of Korra is ranked in the 9th percentile of games scored on OpenCritic. Maybe one day we will get a game that lives up to the show. This isn't it. The Legend Of Korra game is the "much, much worse" scenario, and the kindest thing to say about it is that it serves a similar function to the anemic stage performance in "The Ember Island Players." Through sheer inferiority, it's a reminder of what makes both the series it's based on and the games it imitates so beloved. While it may not satisfy those who are experts in this genre, The Legend of Korra is an excellent game for younger players and will be undoubtedly be a gateway game for fast paced character action. Hopefully Activision will hire Platinum Games for future titles and will fix their reputation for delivering licensed, assembly line produced, soulless cash grabs. Korra fans are very lucky. The Legend of Korra is the perfect example of how a development team cuts corners at a great cost. 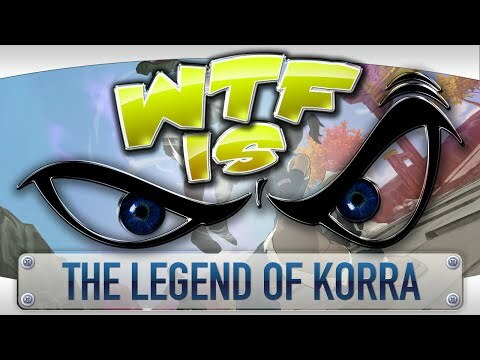 The Legend of Korra is a more-than-competent stylish action game and a fine example of Platinum's pedigree, but as far as an authentic Avatar experience in game form? Not so much. Putting a premium on combat, not characters and story, waters down what makes this Nickelodeon series so special. It's certainly not the game fans of the developer or the series wanted it to be, though. The Legend of Korra is a sound adaptation of the cartoon it’s based on. It has all the hallmarks of the original series, including a distinct visual style and incorporation of elemental bending into its gameplay, but it feels much too shallow to elevate itself beyond anything more than passable. Despite a poor use of its license, The Legend of Korra still provides some fun for its price. It might not live up to Platinum Games' sky-high pedigree, and you might be compelled to call it their first misstep, but The Legend of Korra is a good starting point if you want to see what Platinum Games are all about. The Legend of Korra may be the smallest title Platinum Games has worked on, but the inclusion of newly animated cutscenes, the original voice actors and a mostly enjoyable combat system should please fans of the series. In other areas, the game falls on the lighter side with horrendous level design and a sheer lack of content. The Legend of Korra dissipates potential as quickly as it disappoints a prospective audience. Korra's fiction and Platinum's development lineage impart a veritable dream team of narrative and design, but neither party seemed to bring the necessary hardware to live up to their respective and respected standards. A serviceable adaptation on the fighting side of things, but where's the charming characters, story and heart of the Korra TV series? I don't know, but it's certainly not here. Sorry folks. Despite the talent behind it, The Legend of Korra is too repetitive and bland to be worth recommending to anyone but fans of the television series. The Legend of Korra game simply does not reach the pedigree of its protege. There are some redeeming features to be found, but the game still has a number of issues that keep it from greatness. The Legend of Korra teases the potential greatness of an Avatar game but quickly turns into a sloppy mess of tedium and lazy design enjoyed only by the most dedicated and tolerant fans of the series. There are few redemptive qualities to The Legend of Korra. Decent gameplay could have been made excellent if only there were more enemy types and, perhaps more importantly, the environments weren't so uninteresting. The story is shallow, the characters are shallow, and the world is shallow. It's bewilderingly underdone; there's very little content and it doesn't really engage with its source material. It doesn't even feature subtitles, so deaf people won't be able to follow it. You might be able to waste a few hours with it, but after that, it'll only be good for gathering dust. The Legend of Korra by all means should have been a much more enjoyable games given the studio behind the title. But the large amount of repetition and lack of level design conflicts with player enjoyability. While this review of The Legend of Korra reads like a laundry list of problems, there are times when the game is genuinely enjoyable and shows masses of promise. 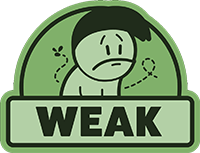 Those times are all too rare however, and you're less likely to be cracking a smile than you are to be cursing at a game engine that feels cheap, rushed, unpolished, and simply not good enough to compete.